Reviews and responses about contemporary American writer of Ageless Soul, A Religion of One's Own, the Gospel series, Care of the Soul. "What is your definition of religion? How does your personal religion and formal religion intersect and has that changed over the years? I would love to know." 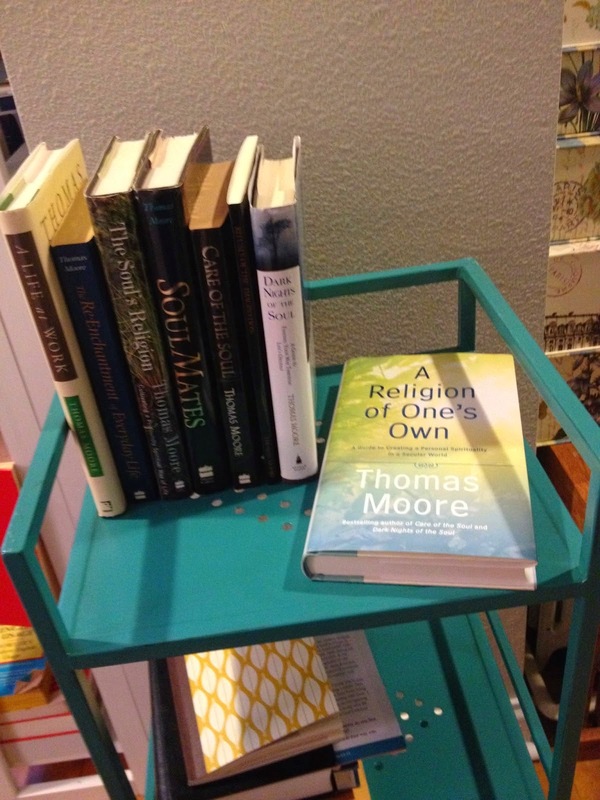 Agneberg provides background to her discussion of Moore’s new book, A Religion of One’s Own, by writing, "The years of being without a church home coincided with a deep spiritual growth in my life. Yearnings I had been feeling for a long time had room and time to expand and gain audience. It was during the Ohio years that I trained to be a spiritual director and had many opportunities to lead retreats and groups. I actively pursued my interest and use of a wide variety of spiritual practices and traditions." She affirms, "Once again, the right book at the right time appears. A Religion of One's Own: A Guide to Creating a Personal Spirituality in a Secular World by Thomas Moore. Moore's other books, including Care of the Soul, Soul Mates, and Dark Nights of the Soul, all have a permanent place on my bookshelves, and this one will as well." With brief quotes from Moore’s new book, Agneberg highlights significant aspects in her current life.